Soon you will be able to download movies rather than buy Blu rays from Best Buy. Best Buy is said to be introducing digital video downloading to its customers on devices they purchase from the its stores. After months of debate and research Best Buy bought the rights to the CinemaNow name which was owned by Sonic Solutions which provides it with the backend technology related to the service and will continue to do so. With Sonic taking care of the technology, Best Buy will be focussed on marketing and selling this service. The service is expected to launch soon. Best Buy had initially wanted to have its own brand with Sonic Solution’s CinemaNow technology but had later decided to partner with Sonic solutions acquiring the rights to the name. Using this new service customers will be able to stream and watch movies directly onto their computers. 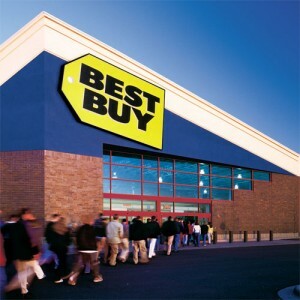 Best Buy is also reportedly partnering with LG to work on adding built-in support to its Blu-ray players. Support within internet-connected devices is also being done. The pricing was also indicated where a rental will cost about $4 and a purchase will cost about $15. With releases on the same day as the DVD release, CinemaNow can grab the market unlike the rivals Netflix and BlockBuster.